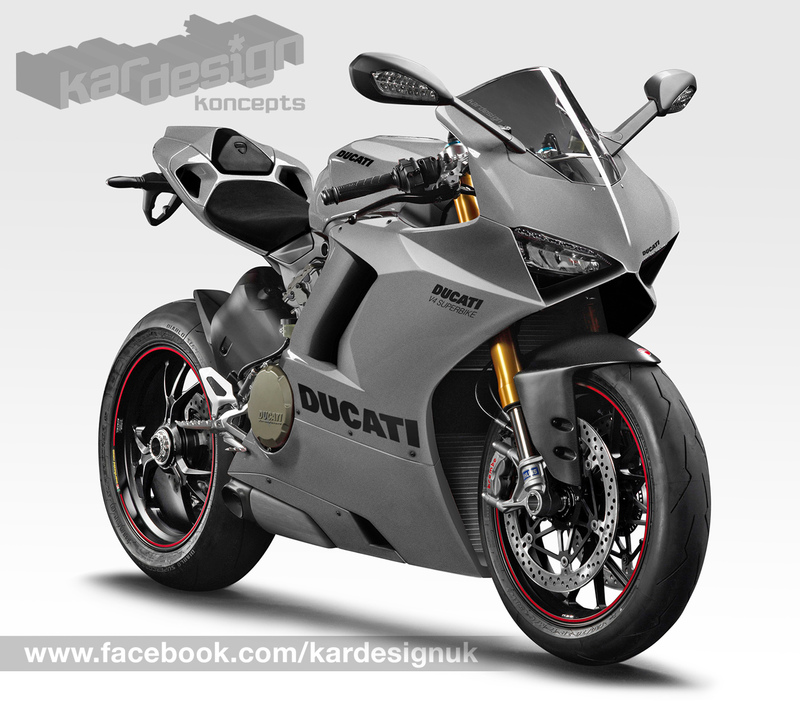 Kardesign was recently asked by leading German motorcycle magazine Motorrad to come up with a CGI of next year’s Ducati V4 roadbike and we were only too happy to oblige. The V4 will eventually replace the V-twin (or L-twin as Ducati call it) Panigale in the Ducati line-up in the showroom and ultimately the racetrack for WSB for 2019. 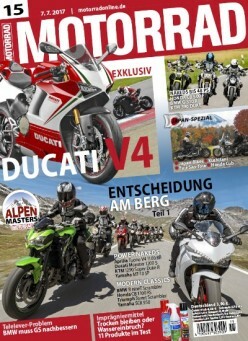 The exclusive Tricolour Ducati digital rendering appears prominently on the cover of their latest issue and also features a classic red version inside the magazine. 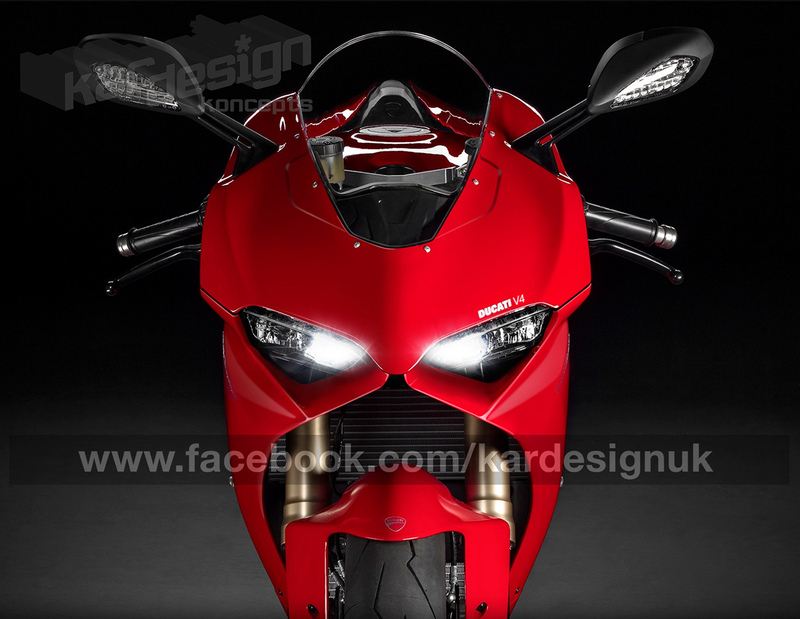 Created using an array of spy shots of the bike in development testing that were taken no doubt, by a sweating photographer hiding in a prickly hedge and getting covered by spiders and other such creepy crawlies, the images clearly show a bike that initially looks like a standard Panigale L-twin but on closer inspection shows otherwise. Sporting a reshaped and simplified headlight area and redesigned fairing in the majority of images shown online at MCN, it is unclear how different the tail unit will be but other shots at Asphalt and Rubber suggest this will be a smaller unit. While the front forks look standard Panigale components, the rear shock has been re-positioned in a more conventional slot behind the rear cylinders. The rear bank of cylinders itself show that the engine has been canted backwards making it more of a vee configuration than the usual L-twin with the front cylinder canted forwards. 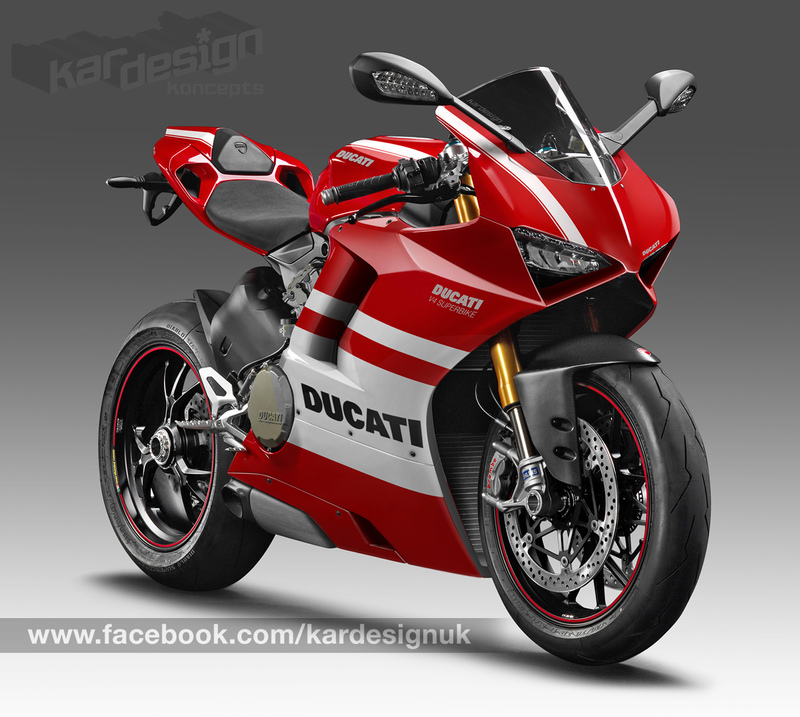 There is some confusion over whether the Panigale’s monocoque frame remains or has been replaced by a trellis item. We’re hoping this is likely to be clarified before the V4’s official unveiling, expected to be at the EICMA show later this year.